Do you feel tired all the time? Are you sluggish getting out of bed? Do you often get that mid-afternoon fatigue? If you’re like most people, you need something to help you start and finish the day. Perhaps you turn to coffee for your jumpstart. Sure it kicks you awake, but all that caffeine brings with it some nasty side effects. There’s the crash, the jitters, and let’s not talk about the yellow teeth. What if there was another way to get your morning jolt? What if nature had the solution? It does. And we’ve compiled a list of six herbs that give you energy. Check them out! Who said you had to give up caffeine entirely? Green tea contains around 30-50 mg of caffeine, almost 50% less than standard coffee. You get the energy boost without the crash or the jitters. But wait. There’s more! Green tea has powerful antioxidants that fight aging. Plus, it has powerful antibacterial compounds to fight infection. Of course, it’s best to brew it fresh. Canned and bottled tea endures so much processing, it has almost no nutritional value. Hailing from Asia, Ashwagandha is the most popular vitality booster on the market. Why? It supports your body’s energy centers: the adrenal glands and the thyroid gland. See, when either of these glands overproduces hormones, they make you feel sluggish. Often, it’s due to stress. Ashwagandha keeps these hormone levels in check, maintaining your energy levels. But that’s not its only use. Ashwagandha can treat neurological disorders, boost your immune system, and fight hair loss. No wonder it’s so popular! No, the pope didn’t bless this herb or anything. Rather, it’s a staple of Ayurvedic medicine. They used it to fight everything: headaches, colds, digestive problems, inflammation, even stress. Modern science has even found a powerful antioxidant that can reduce cholesterol. I’d say that’s pretty divine. Whoever thought a pack of Twizzlers could boost your energy? Well, it can’t; candy undergoes too much processing. But licorice root itself has been used medicinally for centuries. Similar to ashwagandha, licorice root regulates the adrenal glands, keeping cortisol levels under control. It also helps boost your immune system and clean out your respiratory system. 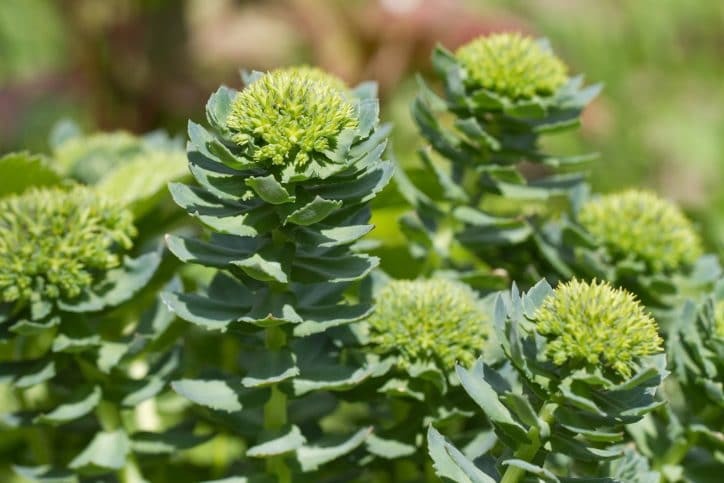 This little herb not only boosts energy, but it also helps your immune system. Studies have shown garlic to have a positive effect on red blood cells. Better red blood cells lead to more oxygen throughout the body. More oxygen throughout the body leads to more energy for you. For over 2,000 years, Chinese medicine has used reishi mushrooms to calm the spirit. They’re thought to be one of the oldest used medicinal herbs. I could go on an on. Reishi mushrooms bolster your overall health in addition to your energy. You may want to add some supplements to your nutritional regime. In a world that consumes too much sugar, drinks too much caffeine, and overuses antibiotics, we are left fatigued and lethargic. It’s time to get back to the natural way of doing things. If you feel the same, check out our blog. We’ve got articles on everything from herbs that give you energy to the benefits of massage therapy. You can also contact us today for even more information.